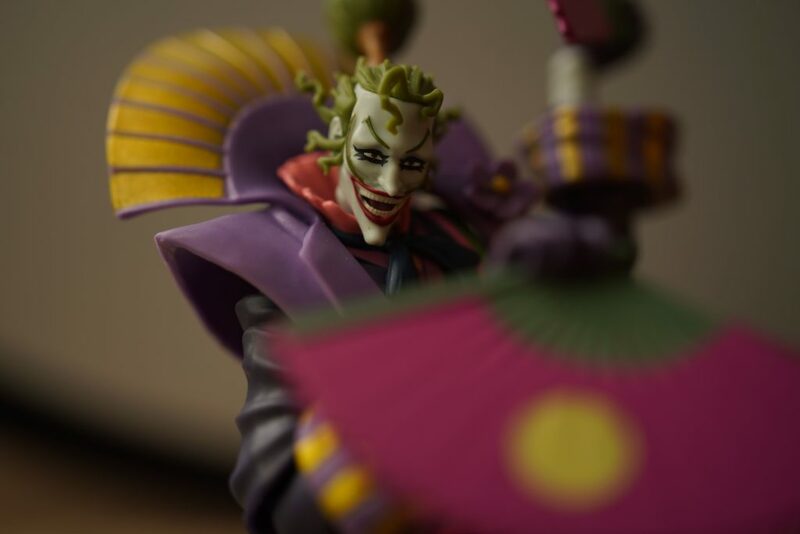 In the last post on the Ninja Batman figure review, I’ve discussed how unique the feudal version of Batman was – well, what’s a Batman series without its very prominent arch nemesis the Joker? 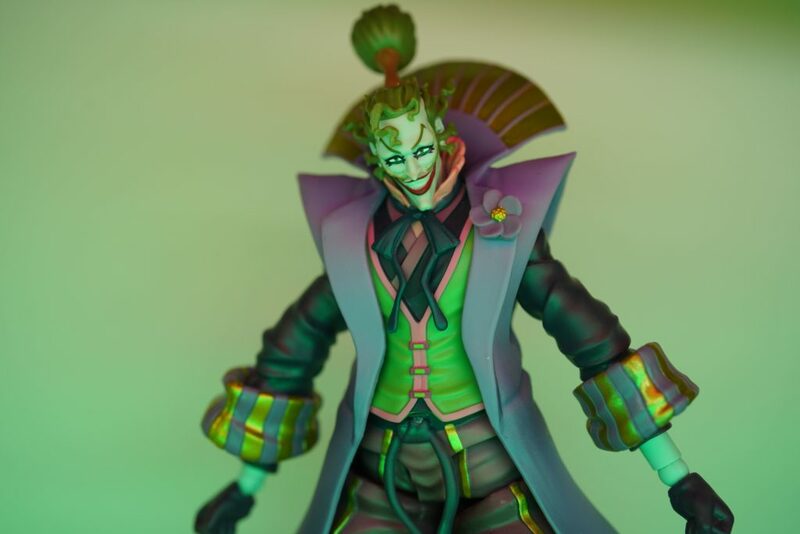 Of course, they also did a figure for the Joker from the same toy line from S.H.FIguarts. 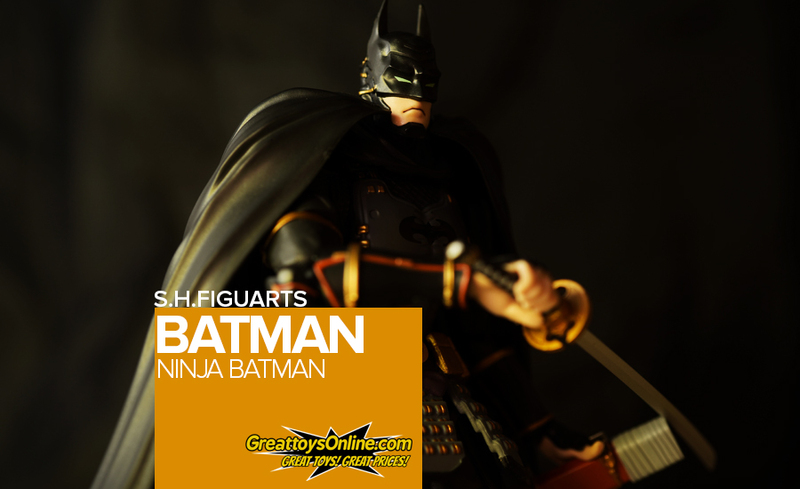 You can read a review of the Ninja Batman figure if you click the photo below. 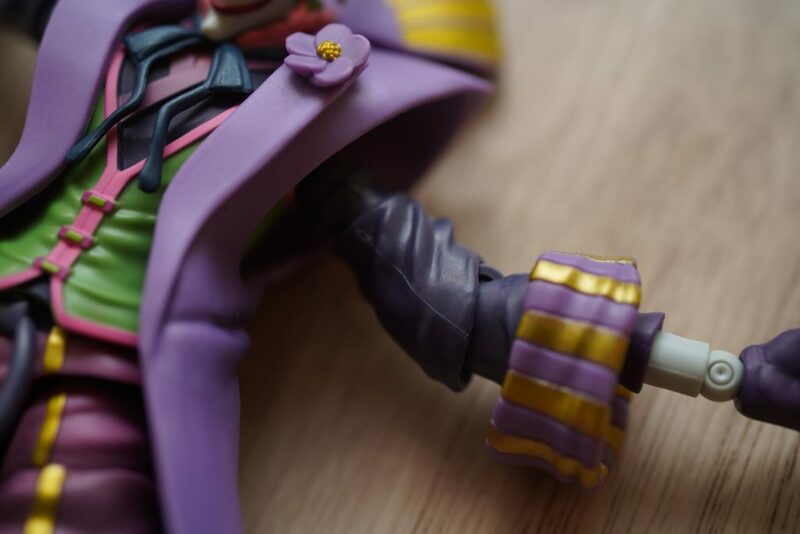 This review will be all about the “Clown Prince of Crime” – the Joker. 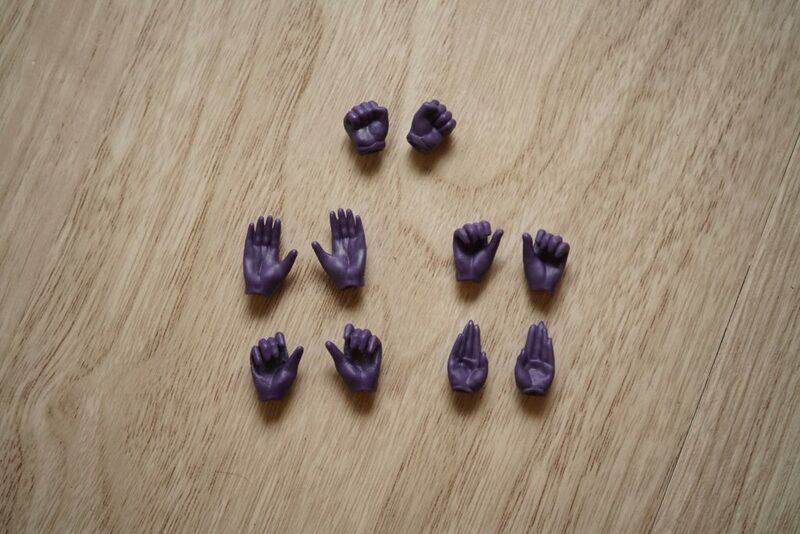 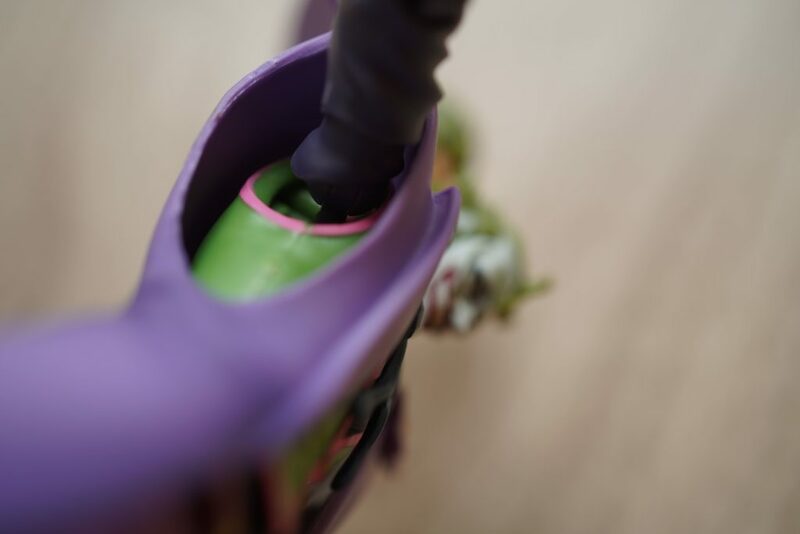 This review is brought to us by GreatToys Online. 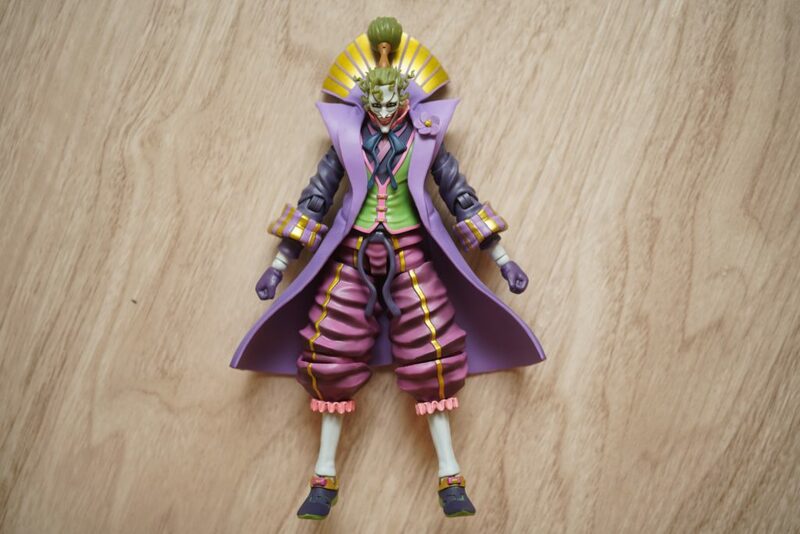 You can visit their stores and online shops to see other figures that are up for sale! 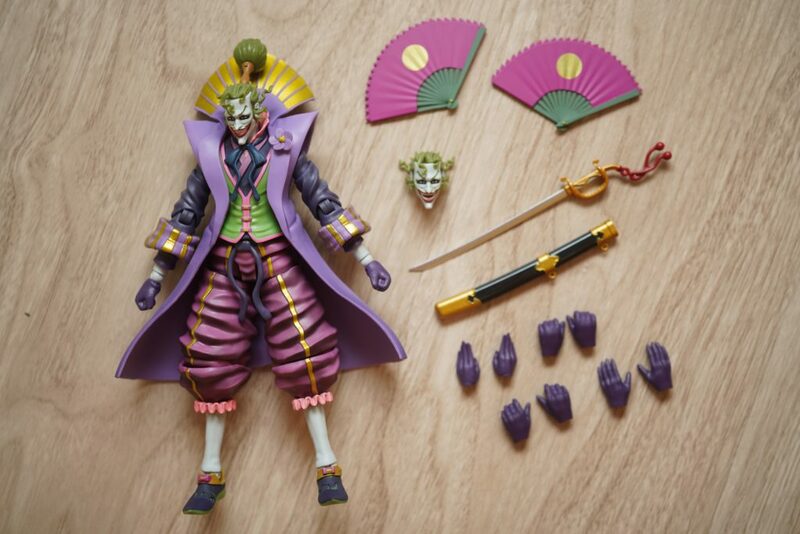 As you can see from the box design, it’s very much inspired by the Joker character. 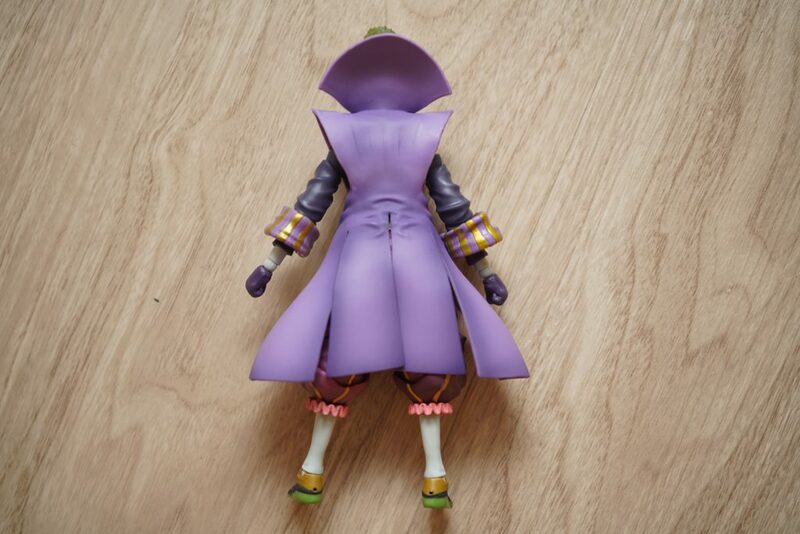 From the box you can feel that the figure is playful in terms of it’s colors and even how the character was designed. 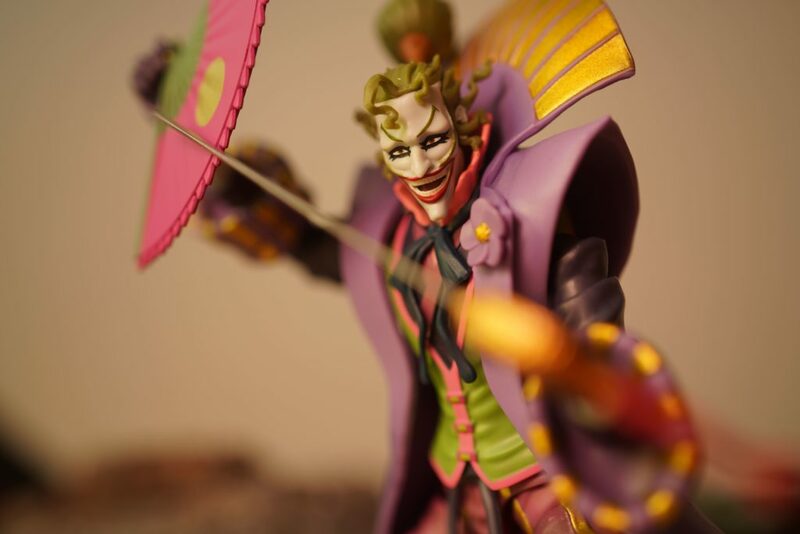 If you’ve seen the Ninja Batman movie, you’ll really appreciate how they made a live copy of the Joker figure. 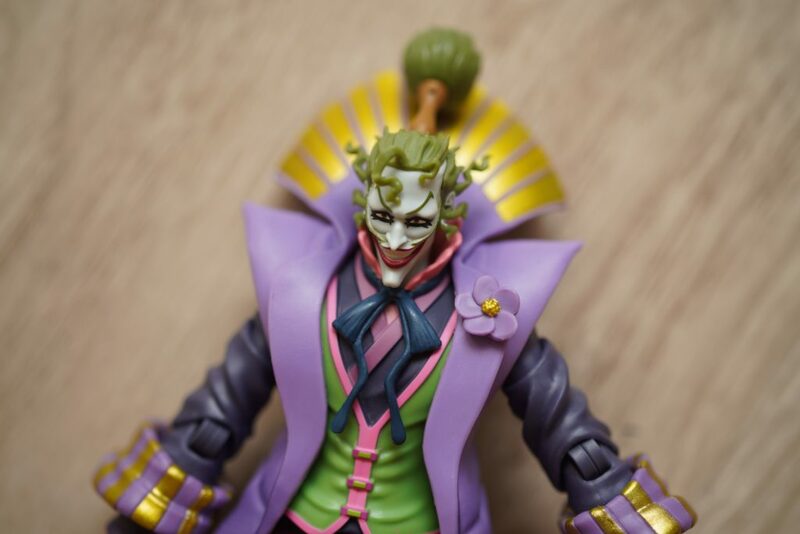 Bandai’s S.H.FIguarts team managed to make a very accurate representation of the Joker character from the movie. 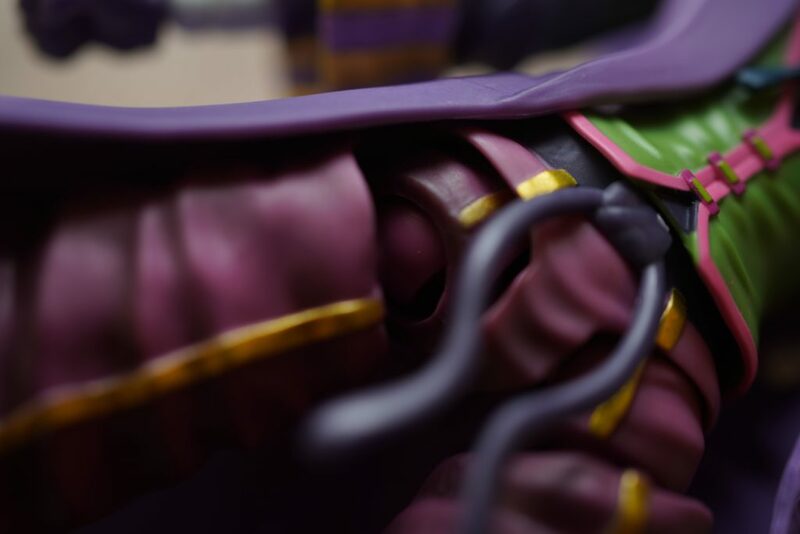 I really liked how they made the cape of the figure, it’s made out of a soft plastic material and the top part of the entire cape is neatly painted with gold gradient accents. 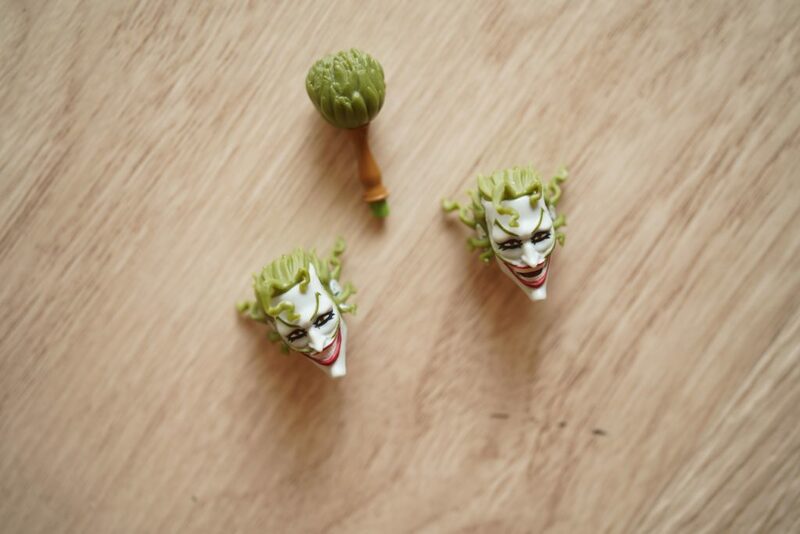 The box includes an ample amount of interchangeable parts from the hands to its alternative face plate. 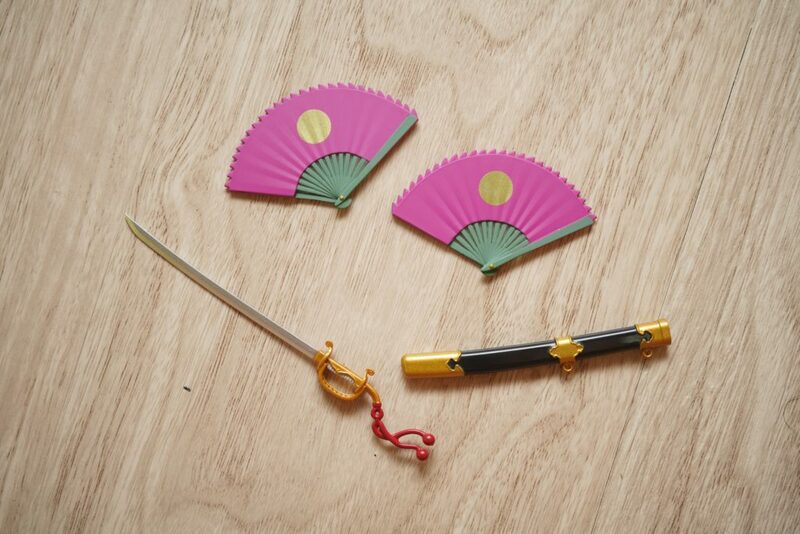 The weapons included are similar to the Ninja Batman figure it terms of count – both has 3 pieces of weaponry. 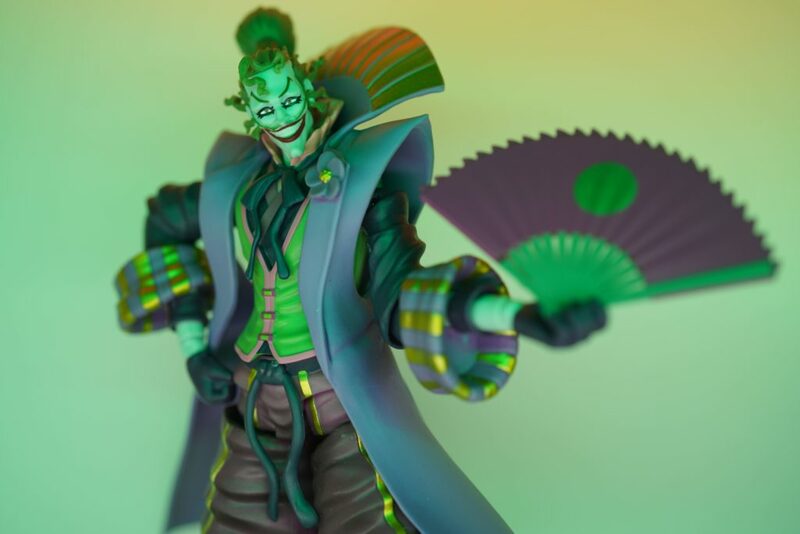 The Ninja Batman Joker figure’s weapons include two traditional Japanese war fan and a katana with design accents inspired by the Joker’s design. 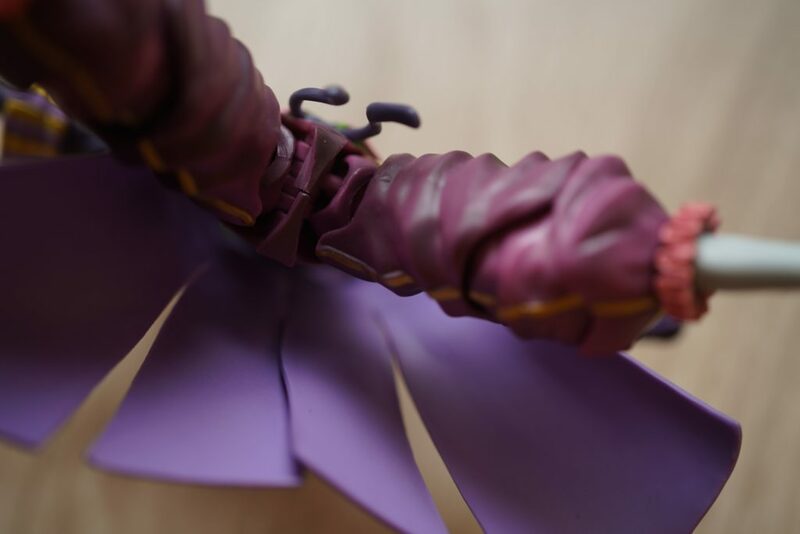 The figure has many points of articulation which makes it versatile when it comes to posing the figure. 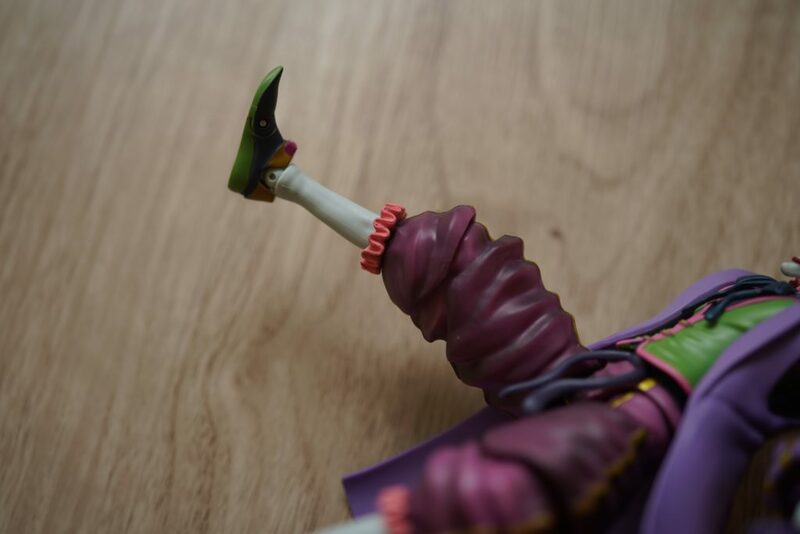 Although, the only concern for me would be its knee articulation. 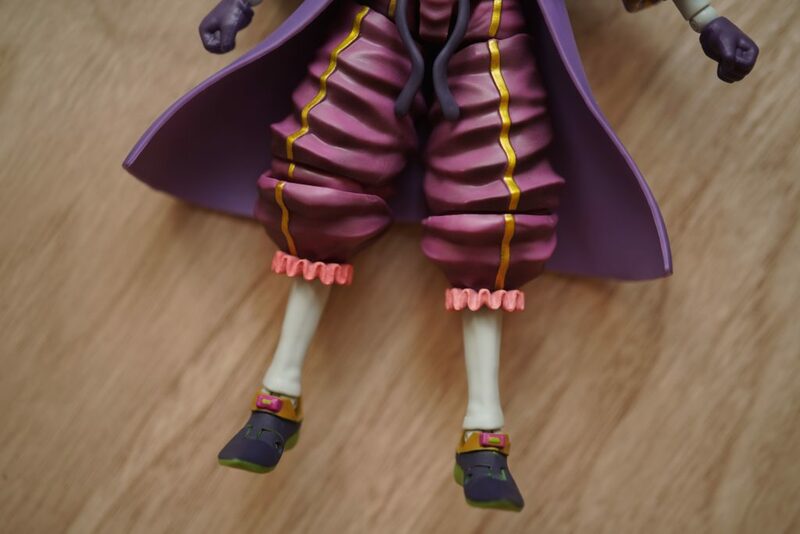 The balloon-like trousers makes the knee articulation very limited. 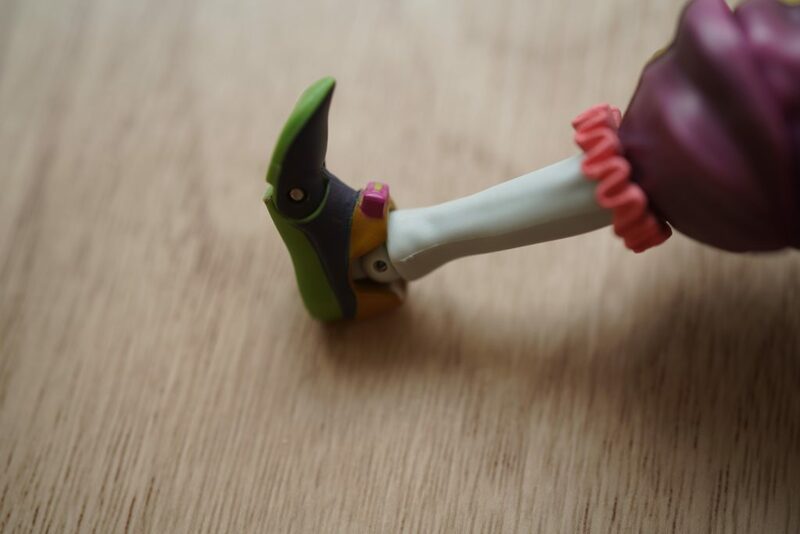 For example having it on its kneeling position would be harder because of the big ball joint that is located on the said part. 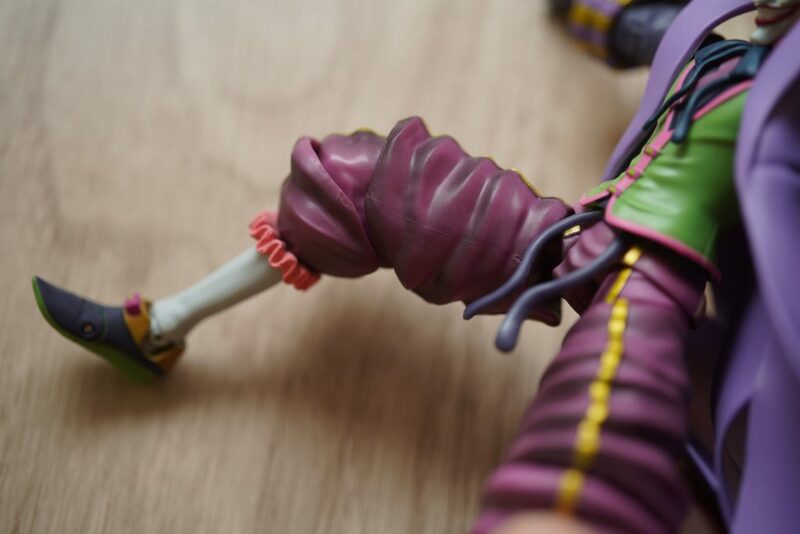 Even though there were limitations when it comes to the figures’ knee articulation, the great details that comes with the figure makes up for it in a really big way. 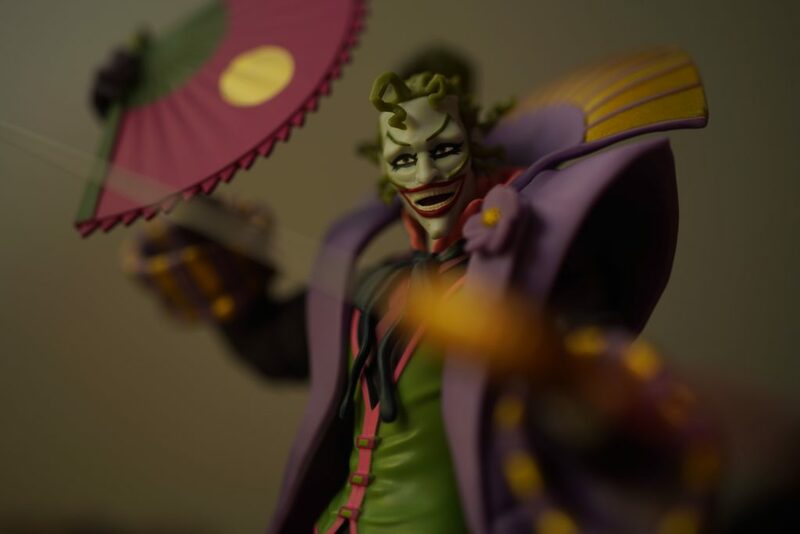 I really liked how they made the figure’s face. 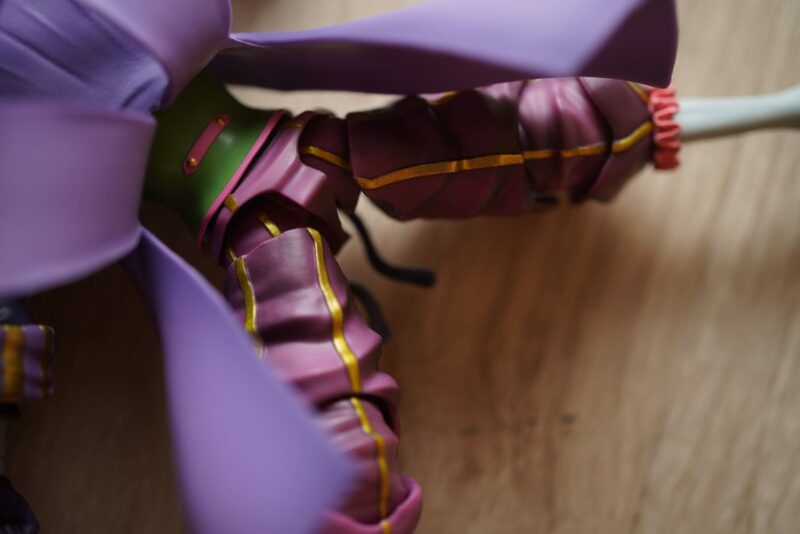 There’s a good amount of details from its hear and its face and its make up really feels very alive. 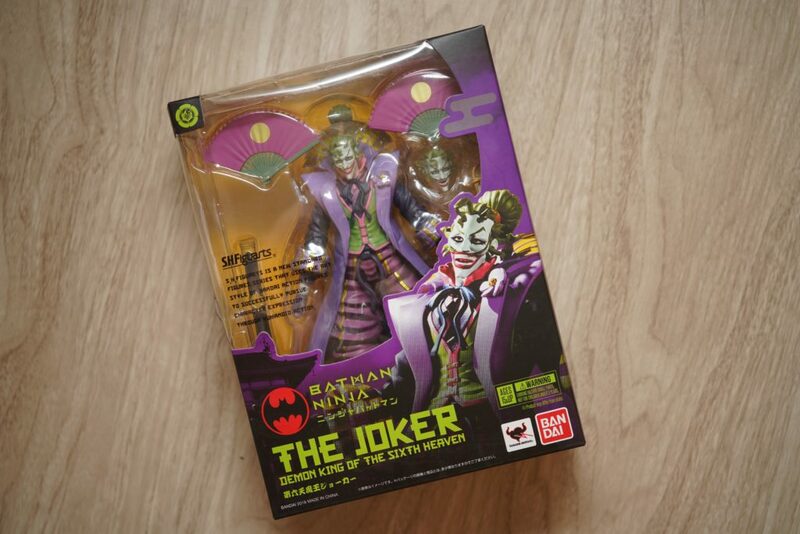 I would highly recommend this figure set especially to those who are into collecting DC Comic’s figures or Batman figures. 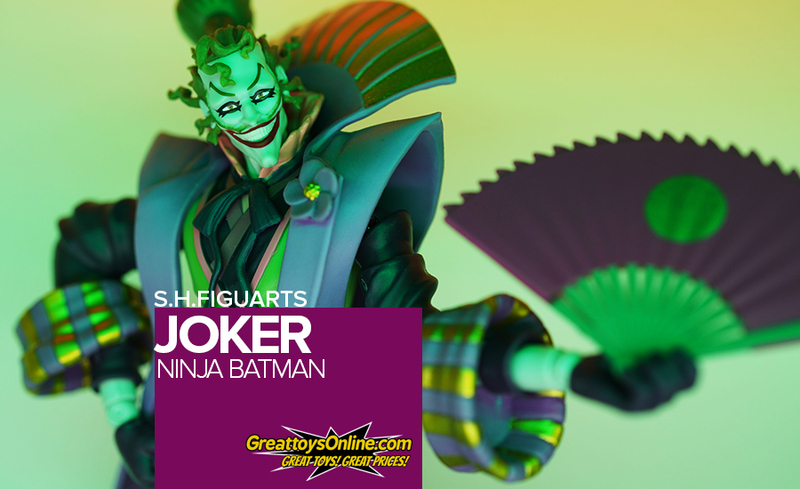 If you are 100% sold in getting this set, you may visit GreatToys Online to get your own Ninja Batman Joker figure!